This original and innovative mixed-media performance event presents poetry like you’ve never seen it before: combining poetic recitals, cast shadows set in motion, digitally projected words, customized sound, and choreographed dance. In this site-specific piece created specifically for the City Gallery, The Path Taken takes patrons through a unique performance of dance, music, and visual arts. 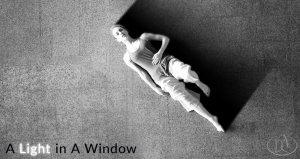 Annex Dance Company is proud to present A Light in A Window, an evening-length modern dance work presented and performed in collaboration with actor Evan Parry. Tickets are $15, and the company is offering a presale promotion of two tickets for $25 online. The College of Charleston Department of Theatre and Dance proudly supports our fifth annual collaboration with Annex Dance Company. Annex Dance Company returns to the Piccolo Spoleto Festival with the premiere of Origin, created in collaboration with multimedia artist and composer John Jannone. Origin explores movement in its purest form through technology and modern dance.